The only real code that utilizes multiple cores is video-encoding. In particular both games and photo processing do not use nearly as much multi-core as people imagine. The situation for mobile is the same, only a little worse because there is less of simultaneous heavyweight apps running. Given these facts, and the way code is actually structured today, 4 cores makes very little sense. SMT makes sense, mainly in that its power and area footprint is very low, so it's a win on those occasions when the OS can make use of it. Beyond that, if you have excess transistors available, beefed up vectors (wider registers, and wider units) probably makes more sense. You'll notice that these recommendations parallel what Intel has done over the past few years --- they are not idiots, and desktop code is very similar to mobile code. As for parallel web browsing, people have been publishing about it for years now; but the real world results remain unimpressive. It remains an unfortunate fact that the things that have been converted to parallel don't seem to be, for most sites, the things that are actually gating performance. A similar problem exists with PDF display (still not as snappy as I would like on an iPad3) --- the simple and obvious things you can imagine for parallelizing the rendering aren't the things that are usually the problem. Exynos 5 Octa, which is A15/A7 big.LITTLE, has been demoed. 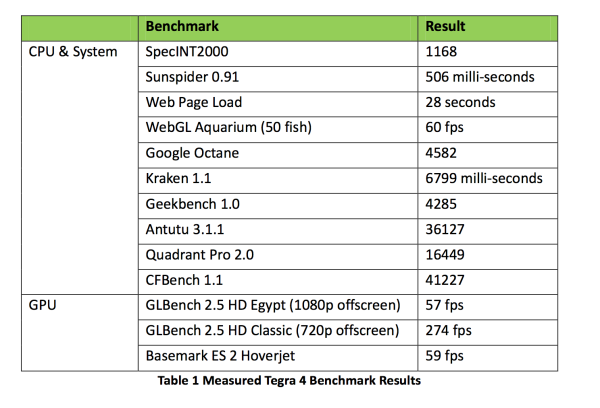 Tegra 4, which is A15 plus a companion core, has been demoed. Neither are commercially available, neither are in shipping products, neither are available to consumers. 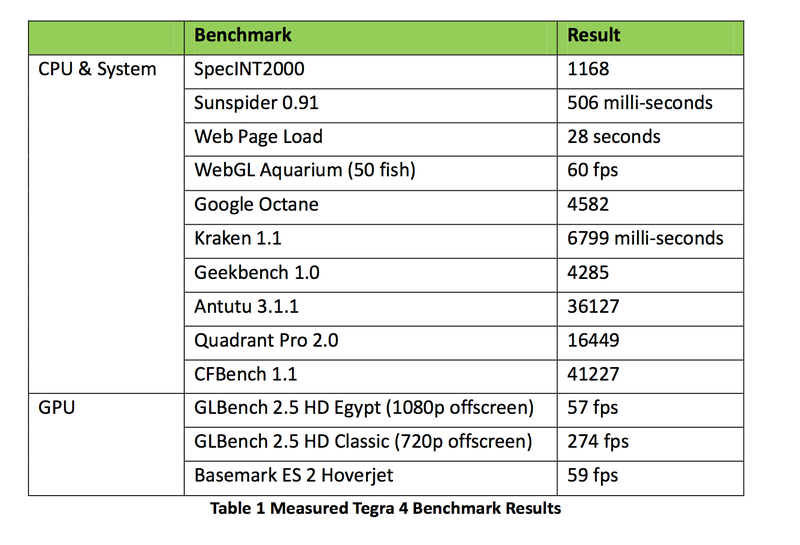 So if the metric is simply raw performance [since you asked "faster"], looks like the Tegra 4 will win easily against the Snapdragon 600.